SA Sen. Hayley Margolis, CCAS-U, will host an academic panel Wednesday at 7 p.m. in the Marvin Center Presentation Room, where three faculty members and a former Tanzanian ambassador will discuss the history of colonialism. 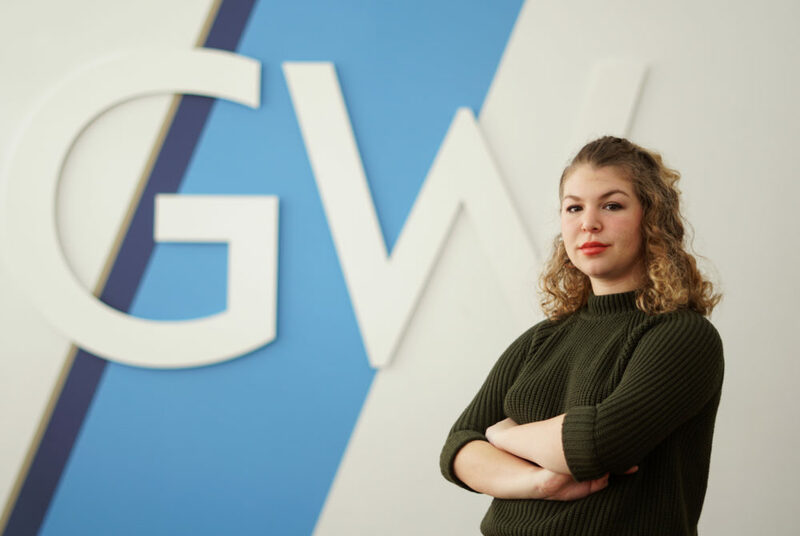 Updated: Feb. 9, 2019 at 11:27 a.m.
A Student Association senator is trying to restart the push to change the Colonials nickname after the debate – which engaged hundreds of students and alumni last spring – fizzled out last semester. SA Sen. Hayley Margolis, CCAS-U, will host an academic panel Wednesday at 7 p.m. in the Marvin Center Presentation Room, where three faculty members and a former Tanzanian ambassador will discuss the history of colonialism. Margolis said she wants to move the discussion about the nickname past a “casual conversation” and educate officials and students on the negative impact that the name carries for students from countries that have seen the effects of colonialism. Students launched a petition last spring calling on the University to switch the Colonials nickname to something less offensive, like GW’s unofficial mascot, the hippo. SA President Ashley Le urged officials to listen to students’ demand in a statement last May. Margolis said she will moderate the panel and facilitate a question and answer session from members of the audience with Sen. Amy Martin, ESIA-U, and Lauren Bordeaux, the College Democrats’ freshman representative for the Mount Vernon Campus. Margolis said she will also collect students’ contact information after the event and follow up with them to announce future events, which could include panels or open forums about the topic. She said having the Colonials as the University’s team name may discourage students from having “inclusive” school spirit because the moniker could be associated with ethnophobia – the hatred of a different race – and oppression. Margolis said she wants the panel to create a more “official” conversation about the issue because it will be the first time faculty, students and officials will be in the same room discussing the topic. As of Sunday, 65 people indicated interest and 31 said they would attend the event on Facebook. Dean of the Student Experience Cissy Petty said she was invited to the event and will attend to “hear student feedback and opinion regarding the University’s mascot.” She said the panel is an opportunity for her to listen to more student opinions on the topic outside of her discussions with SA leaders. She declined to say whether she supports changing the Colonials nickname and how she will work with students after the event. The Hatchet incorrectly reported that the petition to change the Colonial nickname launched last semester. It launched last spring. The Hatchet also incorrectly reported that Lauren Bordeaux is a freshman representative for the SA. She is a freshman representative for the College Democrats. We regret these errors.